I am loving the contrast between this series and the EQ Album and EQ Album + series. Just placing the blocks on point would have created some interesting layouts. Changing the fabrics too …. whole new ball game. This entry was posted in Applique, EQ Album, Quilt and tagged Applique, Blocks on Point, EQ Album, On point, Quilt. Bookmark the permalink. really liked this one… I could see it being in a guest room where the cat is shut out. Seriously, it is well balanced and the dark colours give a depth to the design. 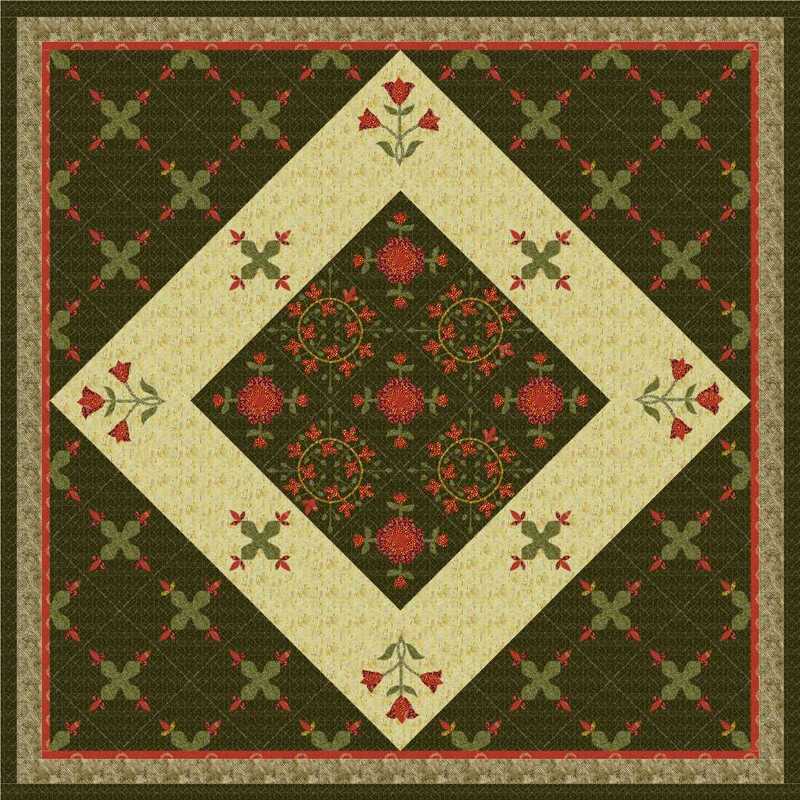 I liked the small appliques and of course, the room for some pretty quilting lines. Definitely one to protect from cats, particularly long haired white ones! 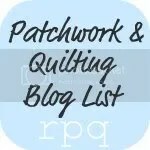 There are so many quilts being made with every inch of the quilt top just a mass of pattern, either pieced or applique. There is no room for any part of the design to be a feature, no where for the eyes to rest … and no space for quilting to be the feature. Like a very busy wallpaper!